Gravity can kill! 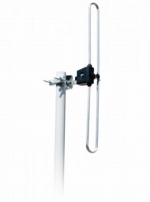 If you install an outdoor antenna yourself, remember to work safely. Better still, get an experienced professional to do it for you. 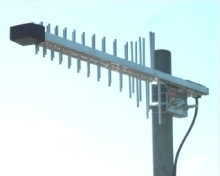 A well-installed aerial should last for years and could save you money in the long run. In the UK, a local reputable rigger can be found from the website of the industry body, the Confederation of Aerial Industries. During this period of digital switch-over, aerial riggers are busy and there are rich pickings for cowboys. Beware of advertisements that use the CAI logo. The trader may not actually be a member. Refer to the CAI website first to find a local member. The CAI even maintains a register of rogue traders known to be using their logo without permission. 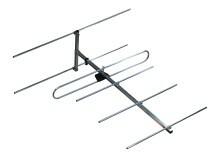 One of the best ways to pick an installer is to check the outdoor aerials on neighbouring properties. You yourself will be able to tell the difference between a neat professional installation and shoddy work. Ask your neighbours who installed theirs. The laws of physics don't change just because it's "digital". 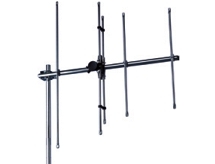 Whether you're receiving HD Radio or ATSC, indoors or outdoors, the only way to ensure good reliable reception is to feed your receiver with a good signal. 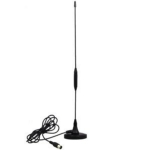 If you're using a small portable receiver with a telescopic antenna, then your options are limited. You'll need to find the position in your home that produces the strongest signal. Your home is a breeding ground for clicks and splats. Most refrigerators, freezers, airconditioning units, water heaters, washing machines, etc. 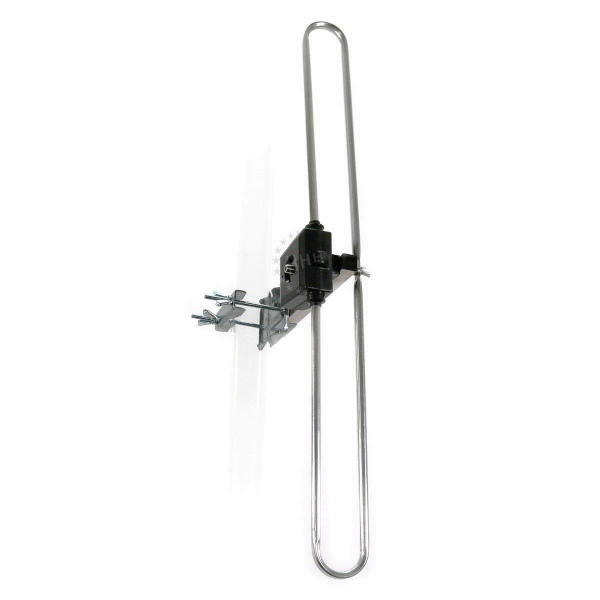 can produce substantial amounts of radio interference as they switch themselves on an off. 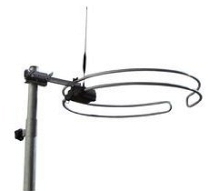 But if you have a receiver with a socket for an antenna, then resist the temptation to connect it to a wire coat hanger and get yourself a good outdoor antenna. Not only will you find a stronger signal up there, but it will be further away from the sources of all those nasty "splats". There is no such thing as a digital aerial. 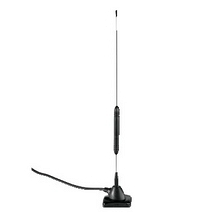 An aerial, or antenna, is designed to work over a range of radio frequencies, and it doesn't matter one bit (get it?) whether the signal on that frequency is digital or analogue. 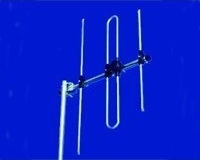 A "DAB aerial", so-called, is quite simply one which works best at frequencies between 174 MHz and 240 MHz, or as it is known "Band III". 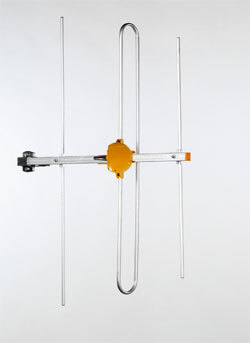 Outwith that range, you will probably find the aerial has less gain and its directional properties will be unpredictable. 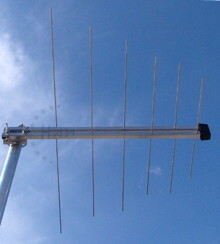 Some aerials may be more finely tuned and be optimised for a narrower range of frequencies. 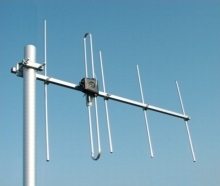 For example, it would be possible to construct an antenna whose peak performance lay between 218 MHz and 230 MHz (the frequencies currently in use in the UK). But there's nothing specifically digital about that. It's the MHz that matter. 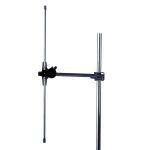 The log periodic tends to provide a more even response across a wider band than the yagi. This can be a useful feature in territories such as Germany where transmission frequencies range from Block 5C to Block 12D. 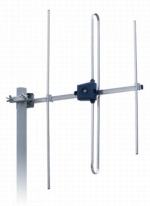 In territories such as the United Kingdom, where a narrower range of frequencies is the norm (currently Block 10A to Block 12D), a yagi will usually provide more useful gain for the same weight of metal. A British company that proudly boasts of existing almost as long as there have been transmitters at Alexandra Palace. A British company formed in 1971 and based in Sheffield. 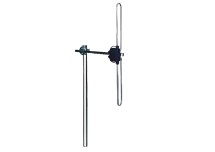 Because of the way that DAB works, signals arriving from more than one transmitter from more than one direction act constructively on reception rather than destructively. 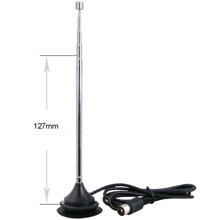 In many situations, particularly in towns and cities, this antenna will suffice. Founded in 1945 and based in Monheim, Bayern, Hama has a prolific range of photographic and electronic accessories. Based in Bedford in the UK and with its own manufacturing and logistics facilities in China. Spanish company based in Santiago de Compostela and founded in 1958, the year that Spanish TV broadcasts began. 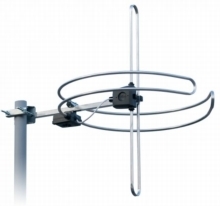 TGN Technology is a designer and manufacturer of products for the reception of terrestrial and satellite signals. A subsidiary of Danish company Nielsen & Nielsen Holding A/S. The group also owns the Hirschmann and Wolsey brands. If you are in a marginal signal area, for example on the edge of the area covered, you may need more gain to acquire a workable signal. Alternatively, if you are in a good signal area for your local multiplex, but discover that you have marginal reception of a neighbouring area's multiplex, you could improve the distant signal by directing this antenna towards it and probably still receive an acceptable local signal. Download the Product Guide from the Triax website. 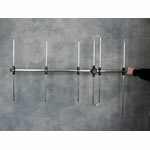 Manufacturing a huge range of HF, VHF and UHF antennae, sold by Waters & Stanton. 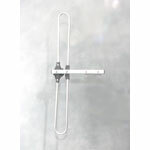 A compact magnetic mount that is ideal for both commercial and amateur radio use. 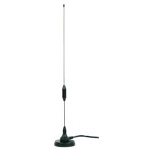 The removable whip element can be cut to any frequency between 138MHz and 470MHz. A cutting chart and Allen key is included. 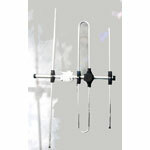 Based in Bockenem am Harz, Wittenberg has been producing and selling antennae and their accessories for over 30 years. 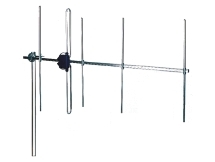 I'd be grateful to receive information about other antennae.